Digital marketing is an interesting and dynamic field that requires knowledge of both the world – marketing and digital technology. While there are two types of marketing: on-field and off-field, the former is a traditional or direct method whereas the latter is a new-age marketing concept and is known as digital marketing. In this field, you don't have to go to the market and advertise your product or service. Instead, you will do it sitting in the office with a laptop or desktop and the internet. A major part of the marketing will be by integrating technology. 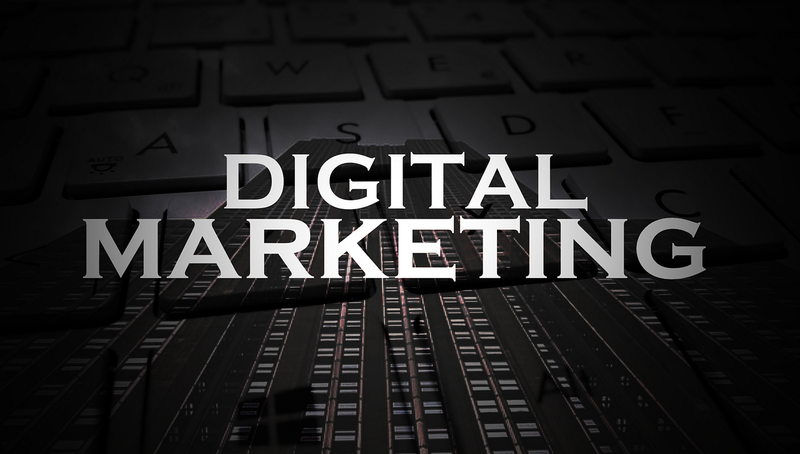 Digital marketers run social media campaigns, create attractive ads, provide inputs to build interactive or dynamic website, conduct an online survey, collect feedback, and utilize them for improving products and services, and be in constant touch with customers through digital medium channels. They have to identify target market and target customers and derive maximum benefits. If this new-age marketing concept is attractive to you, collect the required qualification and use these tips to write a digital marketing resume. As a digital marketer, you might be tempted to include flashy things or too much infographic in your resume, but this would only distract a recruiter and thus fails to convey the points you wanted to highlight. Instead, keep the layout and design simple since the hiring manager would just skim through the credentials to see if you are worth shortlisting or not. Follow a chronological format as the recruiters are more familiar with it. Besides, it also assists to list achievements in a concise manner. Provide contact details right at the top of document to help a recruiter contact you easily. Include full name, contact number and a professional-looking email address in the first section of the document. The resume is a snapshot of who you are. So you must know how to promote yourself as you do for any product. The next section is an objective or a career summary where you must describe abilities and specify the job position you are applying for. When writing, think about the special qualities you have that makes you different from the other digital marketers. Blend your skills and experience to describe resume objective. Summarize your key skills, professional accomplishments in 3 - 4 sentences to write the career summary. The work experience section is not only about the company you worked with and the time duration, but also about the numbers that depict the results you have achieved. Try to use realistic figures. For instance, if you say 'Achieved 40% client growth by doing social media marketing for XYZ client' when the real figure was 37% might look like you are making up things. Also, you can provide links to showcase the work you have done. If a blog post about a particular topic has gained more traffic as compared other posts on the same subject, mention its link in your document. This role is not limited to only marketing graduates. A company might hire a candidate who has completed a degree in graphics, or has recently changed career as long as he demonstrates potential. Specify your highest degree, university and the year you obtained it. Apart from these, you can add other sections like awards, certification, interests and hobbies that are relevant to the job. For instance, if you are applying for a company that is concerned with clients doing travel blogs, photography as a hobby could add a good value to your resume. The strength of your document increases if you mention a professional certification or a recognized award related to the field. The hiring managers skim your resume in just a few seconds and therefore, it is important to limit your marketing tool to a page or two. In the digital marketing field where the entire product sale is based on how well you communicate to the customers, making mistakes or typos in your resume is totally unacceptable. Hence, spell check and proofread your document twice, or even thrice. Make sure that the bullet points in your document are flawless, free of grammatical errors and convey the core message. For further guidance, refer to the digital marketing resume samples below, and draft yours specific to the job.